We went out to dinner last night to an Italian restaurant which was very positive for my joie de vivre (or gioia di vivereaccording to Google translate) but also very positive for the calorie count. With a stab at being healthy, I ordered the seafood salad which looked fabulous but had an entire tiny octopus crowning the plate. The insalata di mare should have been called rigor mortis surprise. I’ve never been very good at eating food that looks back at me, like whitebait. I have visions of its sliding down my oesophagus, glancing around with interest as if on a bizarre kind of potholing experience. The little fishlette would then float with the rest of the raft of whitebait on a pool of stomach acid before it set off round the rest of my intestines. Doubtless the ride would be better than at most theme parks, punctuated by squirts of bile acids while bouncing along the wrinkly bits, swirling and diving, massaged from outside, cosy at a constant 37⁰. If I attached a tiny camera to it, a whitebait could produce a series of extremely interesting selfies, until it finally landed at the great white china endpoint. Yes, I know that whitebait is dead and thus not peering at anything anymore, but tell that to my imagination. It won’t believe you. My reluctance to eat whitebait used to give rise to irritating conversations with my mother. My mother was very robust about food and was fond of slightly strange things like pigs’ trotters, tongue, brawn andhaggis. Of that list, the only one I don’t have a problem with is haggis which is odd, as presumably it contains all the disgusting bits of the original haggis chopped up. I suppose I find it tolerable partly because it tastes so good and partly because it’s no longer recognisable as being Jimmy Haggis or Blossom. 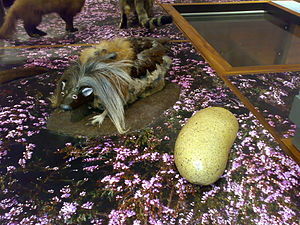 There are apparently two different breeds of haggis, the left leg shorter haggis and the right leggers. Sadly, the two sides can never mate as they generally consort nose to nose. If the male decided to mount, he’d need to turn round, thus with his long legs up the mountain, short down and therefore overbalance, potentially rolling to oblivion. This repeatedly unsuccessful behaviour has given rise to the Annual Haggis Rolling Ceremony carried out by single people in Scotland on February 14th. Legend has it that the bagpipes were invented by Angus McTavish, inspired by him overhearing the haggis mating rituals, presumably of two lefties or both right (the haggis being the only animal known to maintain a relationship where both of the pair are always right.) In fact, the only animal that has ever been proven to have played the bagpipes is a haggis named Fergus who, on a dark Grampian mountainside, unfortunately mistook a forgotten set of bagpipes for his mate Jocketta, banging out a very passable rendition of Scotland the Brave. So did I eat the tiny octopus? I hear you ask. No, although I did eat half of another one which I found lurking elsewhere, just to be sporting. The minipus rode the empty plate back to the kitchen and since no large Italian chef subsequently appeared waving a meat cleaver at me, I assume that either my reluctance to eat it was not too insulting or the octopod disappeared into the kitchen kitty. Seems right, somehow, that the octopus went down the throat of the quatropus. Arrivederci and cherio the noo.